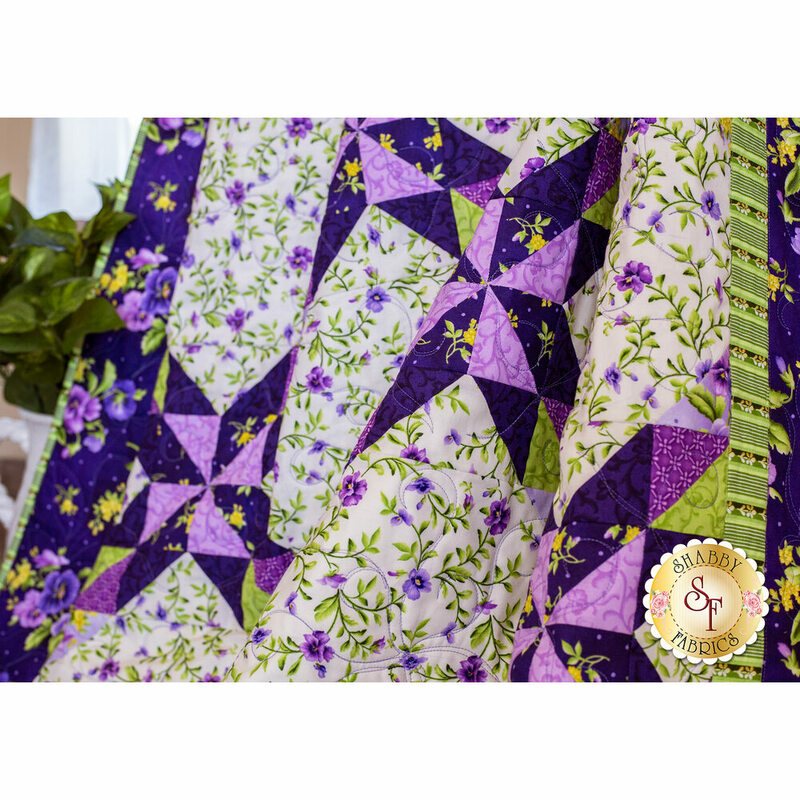 Take a stroll through the garden with the stunning Star Garden Quilt! 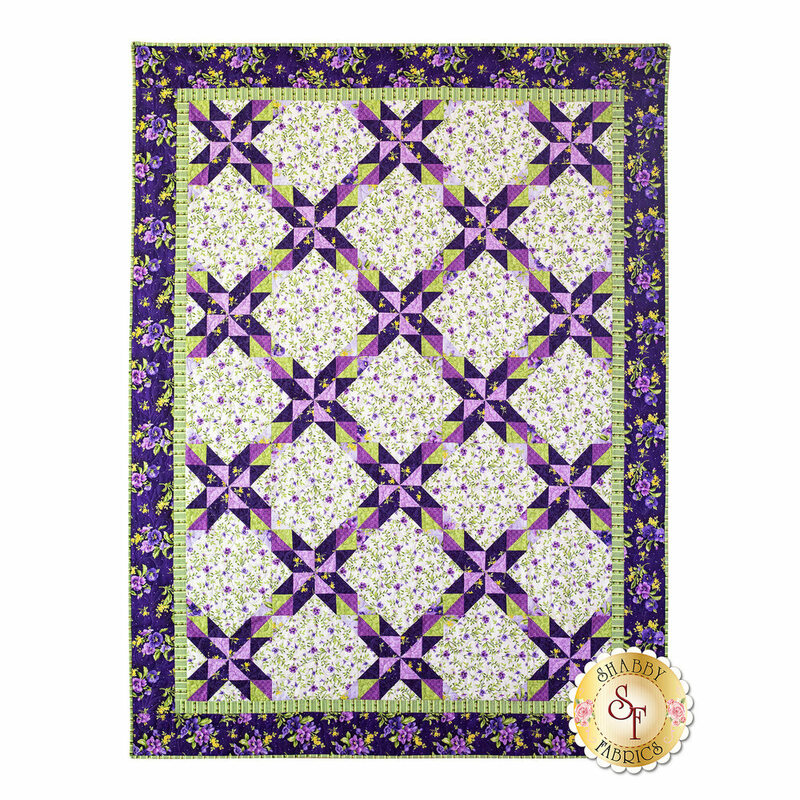 Delicate pansies and trailing vines bloom amongst the vibrant shades of purple, green, and cream. 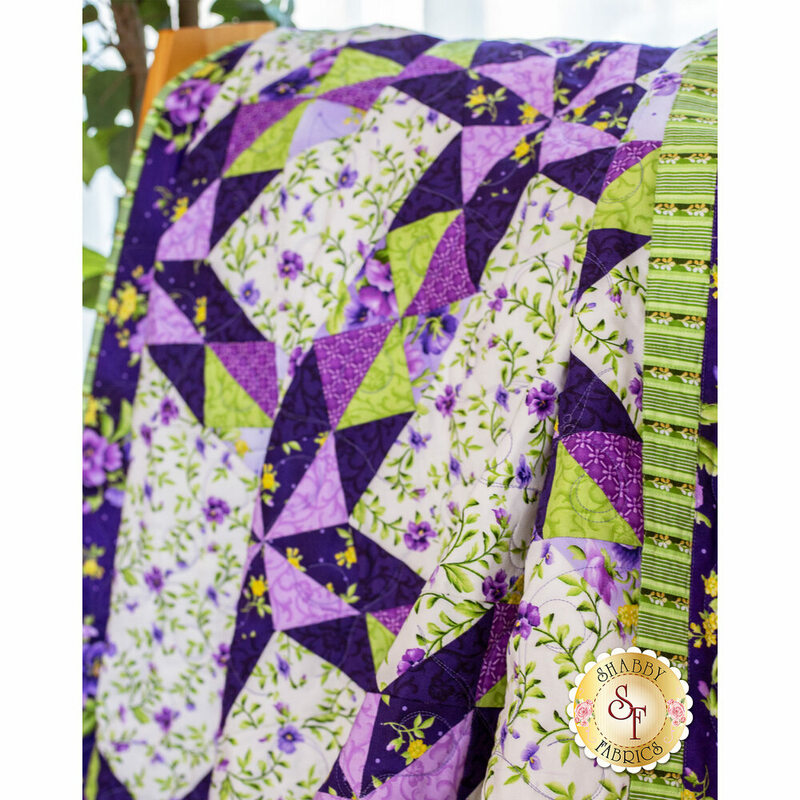 The freshness of Spring is sure to fill any room where this beautiful pieced quilt is displayed! Quilt measures approximately 63½" x 83½". All Top Fabrics, including Borders & Binding! A gorgeous coordnating backing is available below!